Whether you’re fueling up for a power day at the office or on the ski slopes, recovering from a night out, or looking for something you’ve never tried before, breakfast and brunch in Salt Lake City offers an array of different choices. The city boasts everything from cozy '50s-style diners for old schoolers to sleek, modern dining experiences for foodies. 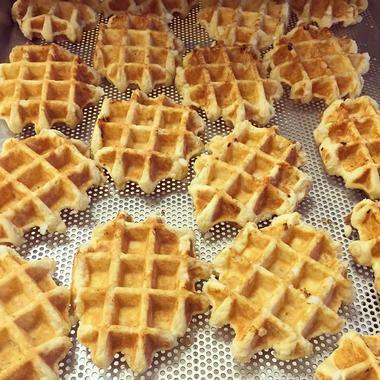 Established by Belgium-born Pierre Vandamme and fellow Belgian Philippe Wyffels, Bruges Waffles & Frites is a friendly café that serves Belgian-inspired food such as traditional Liège waffles and frites. What began as a vending cart at the Downtown Salt Lake City Farmers Market and some local summer events selling the delicious waffles has become one of the city’s go-to spots for mouthwatering waffles with a variety of sweet and savory toppings, gourmet sandwiches, omelets and scrambles, and authentic Belgian fries. 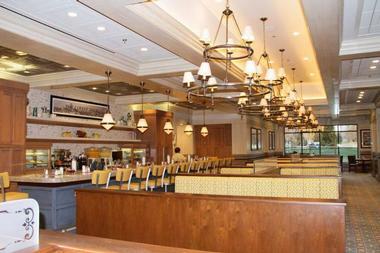 The European-style chain is open for breakfast, lunch, and dinner, seven days a week, and has locations all over the city. Caffé Niche has a little bit of everything on the menu for breakfast, lunch, and dinner, seven days a week. 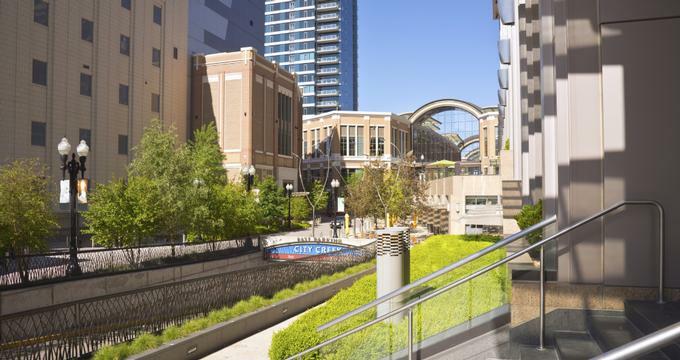 The casual downtown café offers ever-changing seasonal menu created by chef Andy Morrison that features freshly prepared dishes made from regionally sourced ingredients from local farmers, ranchers, and food purveyors. Breakfast includes fresh-squeezed orange juice, free-range eggs, and warm-from-the-oven bread and pastries, along with homemade vegetarian quiche, organic oatmeal, and omelets with a variety of toppings. The signature corned beef hash is made with house-braised, Kobe-style beef and served over golden hash browns, diced onions, free-range eggs, and a toasted baguette. Cytybyrd Café is a friendly café and green space with outdoor benches surrounding Salt Lake City Hall that offers healthy and organic fare and hosts a variety of events such as farmers markets. The breakfast menu provides hearty plates of steak and eggs, breakfast and vegetarian burritos, tofu scramble, huevos tostadas, and cinnamon roll pancakes. Customers also love the yogurt parfait with seasonal fruit and honey, the avocado toast with avocado, roasted tomato, basil, fresh mozzarella, and balsamic reduction on rustic bread, and the bagels and cream cheese. Located in an old gas station, Eggs in the City is an eclectic diner-style eatery with a creative interior is filled with local art, comfy booth or counter seating in front of an open kitchen, and a warm atmosphere. The spot is popular with breakfast-goers with unusual takes on regular favorites such as build-your-own breakfast burritos, eggs Benedict Florentine, light and sweet crepes with Nutella and fresh fruit, and fluffy omelets with various fillings. Breakfast is served all day, however, get there early as there is always a queue at this favorite spot, which is open for breakfast and lunch, seven days a week. 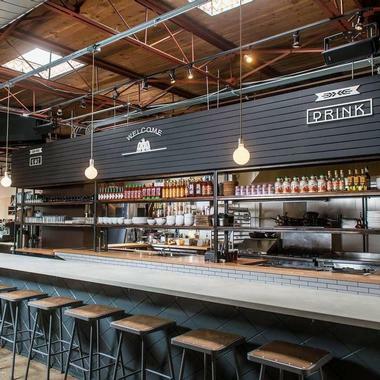 Even Stevens Sandwiches is a craft-casual restaurant with several locations around the state of Utah that serves serving breakfast, lunch, dinner, and weekend brunch in a laidback, relaxed setting. Specializing in the art of the sandwich, the eatery features signature sarmies such as the Jackfruit Torta with jackfruit carnitas, avocado, salsa morita, pepitas, pickled onions, and house vin on a sweet bun, and the Hummazing Vegan with avocado, roasted red pepper hummus, slow-roasted tomato spread, red onion, arugula, and house vin on whole wheat ciabatta. Even Stevens Sandwiches is a sustainable eatery that gives a sandwich to a local non-profit for every sandwich sold, thus sharing their success with the community. Finn’s Café is a smart, family-run restaurant that has been serving loyal customers delicious food for breakfast and lunch since 1952. 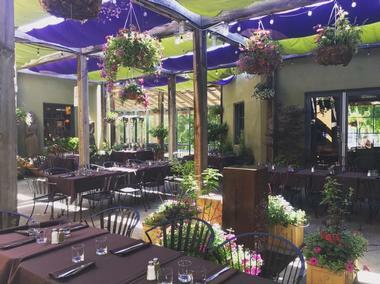 Formerly located at the top of Parley's Way and now in a newly renovated building in the Sugarhouse area, the historic restaurant boasts wooden floors and ceilings and is decorated in earthy tones, creating a warm and welcoming ambiance. There is also a large outdoor patio for alfresco dining in the warm summer months, and an espresso bar offers house-roasted coffees and freshly baked pastries and sourdough bread. Owned by Finn Gurholt and his family, the small, intimate diner delivers a cozy, quiet atmosphere where customers can savor Norwegian-inspired classics like the Scandinavian Breakfast, eggs Benedict, and Norwegian waffles. Hruska's Kolaches is a family-owned and operated bakery and café managed by three siblings who use age-old family recipes to create made-from-scratch, super-fresh food every day. Traditional, homemade kolaches are baked in small batches several times a day and served warm from the oven with a variety of delicious fillings ranging from sweet to savory. Sweet kolaches include maple pecan, fruit and cream cheese, and cinnamon, while savory kolaches range from bacon, egg, and cheese to pulled pork, sausage and gravy, and chicken cilantro. Vegetarian options are available, as is a catering menu, and Hruska’s Kolaches is open from early morning until sellout. Created by the same crowd that brought the city Finca, Pago, and East Liberty Tap House, Hub and Spoke is an acclaimed restaurant that serves breakfast, lunch, and dinner in a refined and elegant setting. Open seven days a week, it’s an excellent spot for enjoying comfort food, especially for breakfast, with a farm-to-table-inspired menu that focuses on dishes prepared with high-quality, locally sourced ingredients. Think crab salad eggs Benedict, organic egg omelets and scrambles, house-made sausage and house-smoked bacon, and freshly baked bread, pastries and sweet treats made from scratch daily. Hub and Spoke is open seven days a week. Janet's Sunshine Café is a vibrant diner in North Salt Lake that offers a casual, friendly ambiance in which to enjoy great home-style cooked food. Open for breakfast and lunch, seven days a week, the café serves a delicious breakfast with favorite items such as French toast made with thick slices of sourdough bread soaked in egg, biscuits and gravy, golden hash browns, and Spanish omelets with mushrooms, green peppers, onions, cheese, ranchero sauce, and sour cream. The café’s signature dish is the granola pancakes, which are made with cinnamon granola and served with real butter and warm maple syrup. Health-conscious customers will enjoy the Garden Classic, which features hash browns topped with fresh carrots, broccoli, green peppers, zucchini, mushrooms, and two eggs on the side. The Lazy Day Café is a small family-owned business that offers a fantastic breakfast in a casual, unpretentious setting. The easy-going eatery features counter seating and a cozy fireplace and presents a menu of hearty, home-style fare such as lemon pancakes served with homemade buttermilk syrup, pork chili verde burritos, classic eggs Benedict, and shrimp and grits. The Lazy Deluxe Breakfast boasts fried chicken breast, bacon, cheddar cheese, and a fried egg, topped with house gravy on a biscuit served with hash browns and is always a popular choice among breakfasters and brunchers. The Left Fork Grill is a simple, unpretentious diner with an old-school feel that serves American comfort food, breakfast specials, and freshly baked homemade pies. Boasting a clean, modern interior with friendly, competent, and enthusiastic service, the restaurant has an enticing menu, which features interesting takes on classics such as fried eggs on sourdough toast, meatloaf sandwiches with coleslaw, grilled cheese and ham, egg scrambles, pancakes and waffles, and eggy French toast. The Left Fork Grill is renowned for their mouthwatering homemade pies, which have light, flaky, buttery crusts and beautifully made fillings, ranging from apple pie, served with a slice of cheese on the side, and a dark, intense blueberry pie packed with whole berries. The Market Street Grill is a local chain with locations around the city that serves fresh seafood and oysters, classic burgers, fries and steaks, and other fare in a stylish setting. The Market Street Grill in downtown Salt Lake City is the only location to serve breakfast, which features all the usual favorites such as eggs Benedict, scrambles, and omelets packed with delicious fillings, hot oatmeal, French toast and buttermilk pancakes, bowls of fresh fruit, and Belgian waffles. 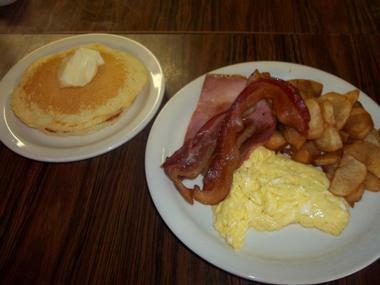 The restaurant offers daily omelet specials served with a choice of hash browns, potatoes, or tomatoes and accompanied by blueberry muffins or toast. Health-conscience eaters head to Mollie & Ollie for delicious and healthy organic, vegetarian, and vegan food, including signature plates, build-your-own bowls, fresh salads, and a variety of wraps. The culinary concept behind Mollie & Ollie is simple – dishes are prepared using the highest quality and freshest ingredients, ranging from hormone-free proteins to pesticide-free greens, and made to order from scratch. Meals can be customized to suit all tastes, and dietary requirements such as gluten and lactose intolerance are catered for. Breakfast plates range from oatmeal and fresh fruit bowls to egg scrambles, omelets, tofu scrambles, and more. 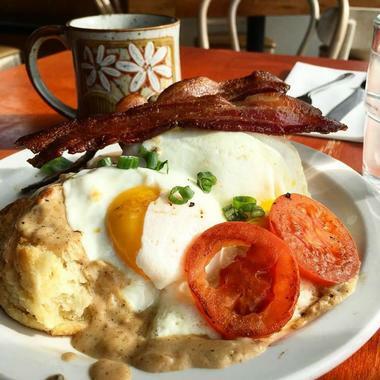 A quiet getaway just on the edges of bustling downtown Salt Lake City, the Oasis Café is a friendly neighborhood spot that offers a quiet place to enjoy breakfast and brunch seven days a week. The café features both indoor and outdoor seating, the former of which is a Zen-like space, and the latter is a pretty patio that is perfect for sunny days. Breakfasters and brunchers can tuck into plates of fluffy scrambled eggs and bacon, omelets, eggs Benedict, and stacks of pancakes with sweet or savory toppings as well as healthy options such as fruit, oatmeal, and muffins. Oasis Café also has a full service bar where mimosas and Bloody Marys are available to complete brunch. Over the Counter Café is a long-standing breakfast spot that has delighting locals with stellar breakfast fare since 1983. 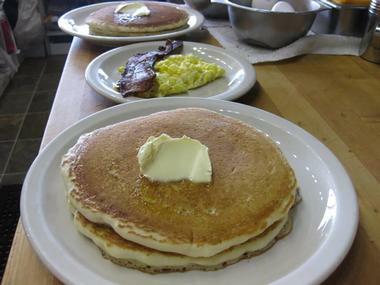 The Millcreek-based eatery’s approach to breakfast is to use fresh locally sourced ingredients to prepare and present a wallet-friendly menu of favorite dishes such as blueberry lemon French toast, bowls of oatmeal with fresh fruit, stacks of pancakes with sweet or savory toppings, and a variety of omelets with different fillings. Breakfast combinations include steak and eggs, pork chops and eggs, breakfast burritos and eggs Florentine. Over the Counter Café is open for breakfast and lunch, seven days a week. 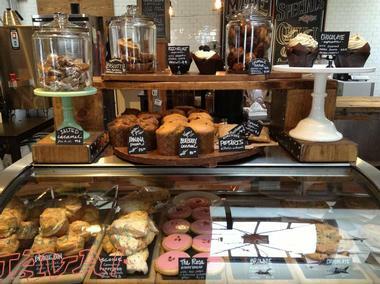 Penny Ann’s is friendly neighborhood café that offers hearty home-style cooking in a relaxed setting. 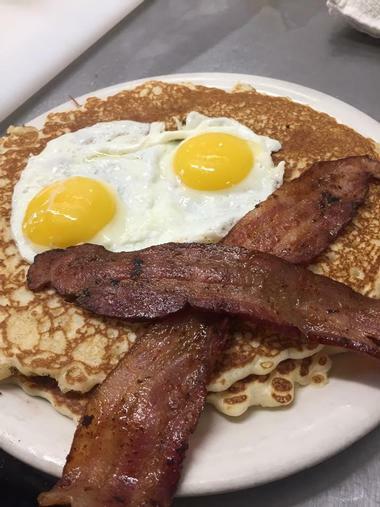 Boasting a menu that is plentiful, delicious, and amazingly affordable, Penny Ann’s serves breakfast all day long, seven days a week, and is a favorite spot with locals and visitors alike. Hailed as the “home of the hot cake,” Penny Ann’s offers a variety of hot-from-the-oven hot cakes with different toppings, stacks of pancakes, waffles and eggy French toast, biscuits, and gravy, breakfast burritos, and peanut butter pie. All of the sumptuous food is accompanied by fresh fruit juices, house-roasted coffee, freshly brewed tea, and sodas. 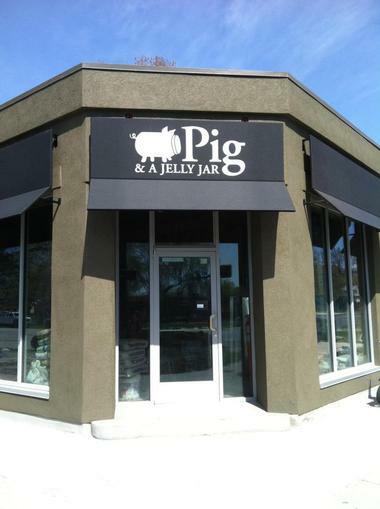 Often forgotten but absolutely fantastic, Pig & A Jelly Jar Salt Lake City is an excellent breakfast and brunch spot in Salt Lake City. Located just a few blocks from Liberty Park, the eclectic fixture boasts a creative atmosphere with artsy decor and outdoor porch seating and serves a delicious all-day breakfast menu of firm favorites and classics with a twist. The menu features scrambles and Southern specialties such as chicken and waffles, egg Benedicts, pancakes, waffles, and French toast, and incredible house-made biscuits served with house-made jams like strawberry coconut blueberry lavender. Pig & A Jelly Jar Salt Lake City is open for breakfast and lunch, seven days a week, and offers specials throughout the week. 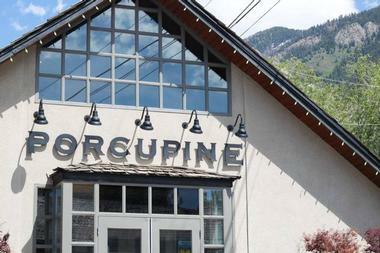 The Porcupine Pub & Grille is a family-friendly establishment that offers a warm and welcoming atmosphere in which to enjoy classic all-American fare, craft beer by the bottle and on tap, and handcrafted cocktails. Open for brunch, lunch, and dinner, the menu features an array of fresh salads, homemade soups, hearty entrees, house specials, and a dessert of the week. The signature brunch menu comes complete with omelets of the day, eggy French toast topped with fresh berries, breakfast burritos and sandwiches, poached salmon and eggs, and country-fried steak, all accompanied by freshly brewed, house-roasted coffee. 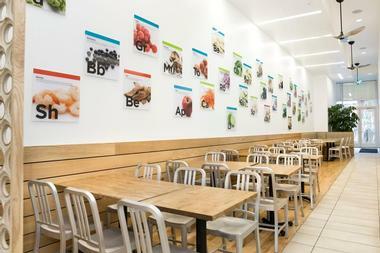 Pulp Lifestyle Kitchen is a healthy café that focuses on organic and scratch-made fare, from acai and grain bowls to smoothies and freshly squeezed or cold-pressed juices. 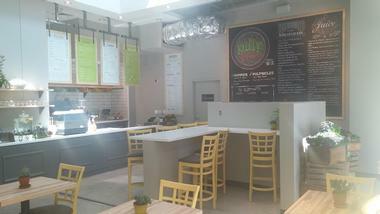 Featuring only the highest quality and freshest locally sourced ingredients, such as house-made granola, lavender honey, organic peanut butter, and house hummus, Pulp Lifestyle Kitchen’s menu features unique creations such as the Skinny Jeans with egg whites, avocado, goat cheese crumbles, roasted sweet potato, spinach, hummus, and scallions in a whole wheat wrap. Other mouthwatering plates include the Man Crush of brown rice, quinoa, or pulp hash, served with cage-free eggs, zucchini, spinach, mushrooms, scallions, and kale, and the Sammie Soho with smashed avocado, eggs, turkey sausage, and Irish cheddar on a sprouted wheat bagel. 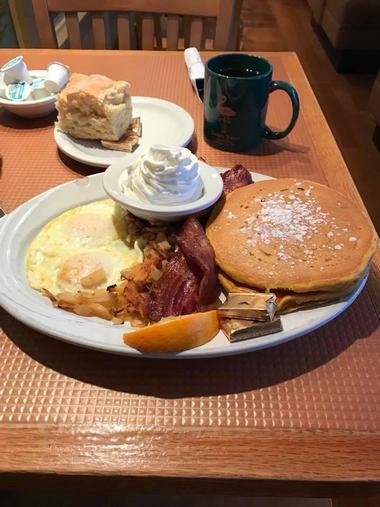 Located in a beautifully renovated 1930s trolley car that is parked in the heart of Emigration Canyon, Ruth's Diner is a favorite eatery that serves an all-day breakfast American and Southwest breakfast dishes, pancakes and sausages to huevos rancheros. The friendly neighborhood institution began as an archetypal roadside trolley diner and boasts a lovely outdoor patio for alfresco-style dining; it also occasionally hosts live music events throughout the month. The breakfast menu features all the usual favorites from Benedicts to breakfast burritos as well as Ruth’s famous “mile-high biscuits,” which are fist-sized, fluffy, buttery biscuits. Rye is a contemporary and creative restaurant that serves a mouthwatering menu of classic American favorites with a modern Asian-fusion twist. Located on the site of the old Al Forno’s Italian restaurant on 500 East in Salt Lake City, the restaurant boasts wooden tables with comfortable upholstered chairs as well as counter seating where diners can watch the chefs in action and a team of friendly, efficient staff who are passionate about the eatery. The breakfast features an array of unique dishes such as brioche French toast with lemon curd, mushroom and brie scramble or tofu, tomato and spinach scramble, and waffles and whiskey with pork belly. Don’t miss the signature pork belly breakfast bowl served with locally sourced pork belly, house kimchi, green onion, rice, and a basted egg. Rye is open for breakfast, lunch, and dinner, seven days a week. What began as a limeade stand at the Salt Lake City Farmers Market, Sweet Lake Biscuits & Limeade is now a fully-fledged family-owned restaurant that serves fantastic breakfast and brunch, seven days a week. The menu features a range of healthy, hearty, and homemade dishes, freshly prepared salads, biscuit sandwiches, and delicious house-made limeades. The breakfast menu features breakfast plates such as the Hoss with fried chicken, egg and bacon, cheddar cheese, sausage gravy, and a biscuit, and the Biscuit Benedict of medium poached eggs and ham, house hollandaise sauce, and a side of hash browns, topped with green onion garnish. Appropriately named, the Little America Coffee Shop is just that. The family-friendly eatery serves a menu of comfort foods, traditional favorites, and excellent all-day breakfast in a casual and relaxed environment. The made-from-scratch breakfast menu features freshly baked bread, pastries, muffins, and croissants, fresh seasonal fruit bowls, yogurt parfait and Greek yogurt bowls, assorted cereals, and oatmeal, omelets and egg dishes, stacks of pancakes, French toast, and Belgian waffles. Little America Coffee Shop boasts bright decor and modern furnishings, and is open for breakfast, lunch, and dinner, seven days a week. Boasting beautiful views of Liberty Park pond, the Park Café has been around for a while and is always packed. Open for breakfast, lunch, and dinner, the casual eatery has a relaxed, laidback atmosphere and is an excellent spot for a hearty breakfast or cure-the-hangover brunch with dishes such as Michigan hash-pork potatoes mixed with sausage, peppers, and mushrooms and topped with cheddar cheese and two eggs. Other breakfast specialties range from the Southwest Eggs, which are served with green chili, Monterey Jack cheese, salsa, and sour cream, to the Mexican Hash served in a flour tortilla and the deliciously eggy French toast, all of which is served until 3:00 pm. The Rose Establishment is a fantastic downtown spot for a no-fuss breakfast and one of the most beautiful coffee shops in Salt Lake City with a menu to match. The hip, down-home coffeehouse serves freshly ground and roasted coffees and loose-leaf teas along with a gourmet and cold-pressed sandwich menu, freshly baked bread, pastries, and sweet treats from the in-house bakery, and light breakfast plates such as heirloom tomato toast, smashed avocado tartine, homemade porridge, and melt-in-your-mouth shortbread cookies.